Working directly with news content can feel overwhelming due to the sheer quantity of information. As such, two recent (unrelated) conversations struck a chord when they imagined the abstract concept of information flow using ‘firefighting’ imagery*. Here I revisit some ideas about how information people - and content providers - act as intermediaries to help their end-users avoid the information deluge. So what do information people do? Essentially, our mission is to supply what the end-user has requested, without preconceptions or prejudice. ‘Doing’ current awareness implies communicating with people, working with them to obtain ‘relevant’ content. We can offer advice and make suggestions, but we have to go with the flow and work within the challenging information ecosystem we inhabit. As an information person it has always been my responsibility to get the right information to the right person, at the right time and at the right price. My professional colleagues knew that if they asked me for research on a particular topic, I’d be careful to use paid-for database services where possible. And if this wasn’t feasible, I’d look at it critically to assess content quality and reliability. There are many challenges to tackle. We are obviously limited by the type of content being created. Some broadsheets have really deteriorated in journalistic standards, relying on social media for easy-to-digest, polarising sound bites, whilst masking legitimate issues. Even Wikipedia is now questioning certain newspaper sources; the legal industry will remain interested in what the UK’s Daily Mail is reporting - for obvious reasons. There has always been discussion about the various benefits of ‘fee v free’ services. End-users often think that they can ‘surely just google it’. Of course they are right - many useful services out there remain free and authoritative, especially when it’s regarding a subject area or jurisdiction with which they’re familiar. But often the best way to get that ‘edge’ in current awareness is by relying on other people’s expertise. Information intermediaries come in different shapes and sizes. It’s not just individuals in information departments or quality information vendors, but also tools and systems, such as online database taxonomies and filters. These are created so that the end-user can easily exclude extraneous or irrelevant information - or include the highly relevant. But what is relevant to one end-user, may not be so important to another. And it’s not just personal relevance that needs to be considered. We need to trust that the people or processes behind the scenes are being consistent and free from bias. There has been a world of controversy regarding traditional library cataloging systems, especially those which are rooted in a particular time. For example age has not been kind - with reason - to the Dewey Classification system. What does "relevant" mean? One article discussed this in relation to relevancy ranking, which is the process of sorting the document results so that those documents which are most likely to be relevant to your query are shown at the top. Relevancy can mean finding a document in direct response to your search query; or finding related articles which are perhaps based on popularity or previous search history. It’s not just hand crafted taxonomies or cataloguing systems which can be controversial. President Trump recently accused Google of political bias, and in the New York Times there was a timely reminder of how Google rankings work. People rate the search results according to expertise, authoritativeness and trustworthiness. However Google keeps their technical formula secret; preventing SEO manipulation, and ensuring they remain the ‘go to’ search engine. As Paul Nelson concluded, in the future, ‘relevancy needs to be malleable based on the user community, available document data, and the goals of the individual. Relevancy will mean something completely different to a librarian, a casual shopper, or a patent attorney. Sites will become increasingly targeted in how they determine what types of documents are relevant to what types of user requests’. Being aware of such biases is a crucial aspect of directing the information flow, which is why you cannot replace a trusted human expert when it comes to quality current awareness. And finally, publishers also act as intermediaries. They provide information behind the scenes, and in some cases metadata are inaccurate or incomplete. This requires content specialists to manually cleanse material when it gets processed - particularly challenging when working with foreign language material. Vast amounts of metadata influences the results of searches, and as information people create vital filters to assist end-users, we are conscious of what we are including - or not. Everyone needs to be aware that some results may not be picked up despite best efforts of information people. This has nothing to do with our diligence, but the quality of publisher metadata. Being aware of bias and the need to remain neutral in the provision of information services is important. It can permeate every aspect of our work. Therefore it’s not surprising that people are overwhelmed, even when they aren’t fully aware of the challenges facing intermediaries behind the scenes. There are many interesting obstacles along the way, including the danger of filter bubbles, bias in taxonomies, the possibility of politically compromised search engines. If we are sticking to the water analogy, the river of information is a tricky one to navigate. How can we ensure what we are providing is relevant to our end-users? How do we encourage publishers to improve their metadata? 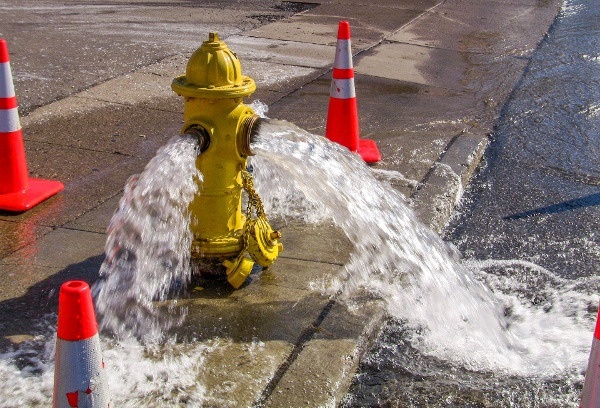 *A conversation about Twitter’s Firehose; and finding this quote, ‘Getting information off the Internet is like taking a drink from a fire hydrant’.